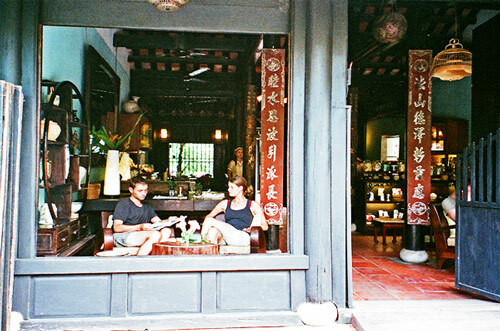 Hoi An has many attractive coffee shops as you can see when you walk around the centre of the old town. But here are some most unique café stores that you must visit. Located hidden behind an alley on Phan Chu Trinh Street, many visitors do not know this fascinating place. The first highlight of Le Fê Cafeteria is the faded wooden signposts. When entering inside you will find a spacious and peaceful space. The café has three spaces; the first and last space is open space with greenery and takes advantage of natural light. 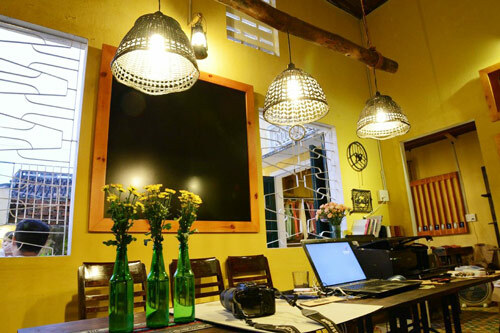 The middle space is decorated with antique style with old books, old television, telephone dial… The owner of the café is My Phuong singer’s family; therefore on every Saturday, the café often has music event with the participation of many famous artists in Hoi An. May Concept located at 8C Nguyen Thi Minh Khai Street, near The Bridge Pagoda. This is quite a special space as it is a coffee shops but also a tailoring store. After sipping some coffee, you can take a look and buying some souvenirs gifts. The rooms at the May Concept use dark wood furniture to make old and cozy space but if you love natural; you can visit the small garden and enjoy some delicious cup of tea or coffee. However, what makes this place become more attractive thanks to the friendly and enthusiastic staff. On every Friday of the week, the café also host acoustic music event. Receiving much praise from international visitors is Reaching Out café at 131 Tran Phu Street, this place feature exquisite décor with gold walls over time, from earthenware tea set on wooden tables to hanging plant baskets…Vietnamese tea is the most popular drink here, you can also enjoy the tea with some cookies, this is not a new combination but will bring you a strange and peaceful feelings when spending time here. A special and different point of Reaching Out is all waiters are hearing impaired people; therefore, if you want to order anything you will write down on little wood stick paper on the table. The staff will take this piece of paper and bring what you order, this unique point made international tourist extremely in love with this place. 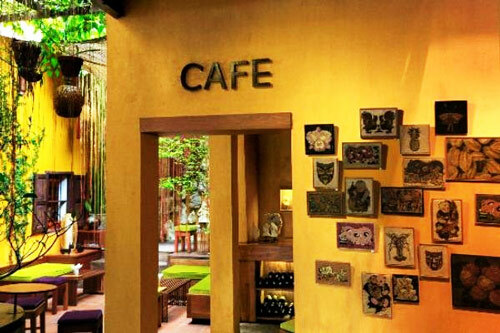 Located at 130 Nguyen Thai Hoc Street, this is a combination of museum and coffee shops which attract many tourists with hundreds of gemstones, from north to south of Vietnam. This is a collection of Mrs. Duong Nga after 20 years of collecting. You can enjoy some coffee in a private area and admire these works. If you lucky, you may meet the owner of this museum and talking with her about some rare stones.